May 21, 2013, Pittsburgh, PA – "Life is a highway. The lanes are your choices. Where will you go?" These thought provoking words opened the video created by North Allegheny senior Katherine Zhou, earning her the grand prize in the Edgar Snyder & Associates "Words to be Heard" Scholarship Contest. The annual contest challenges students across Western PA to create programs discouraging their peers from underage drinking, drunk driving, or texting while driving. Students submitted entries ranging from videos to PowerPoint presentations to websites and essays. Attorney Edgar Snyder personally presented Zhou with the $5,000 award during a dinner ceremony Monday. Prior to the dinner, Zhou and the other scholarship recipients participated in a live Google Plus Hangout with Attorney Snyder to talk about the inspiration behind their projects and future plans for college. Zhou first heard about the scholarship in a school newsletter. "I had an interest in the topic because I was in a texting and driving accident in middle school. My parents got rear-ended by a teen who was texting." Her video titled "Drive From Distraction" raises awareness about "inTEXTication," a condition comparable to driving after four beers. The powerful presentation includes statistics and direct calls to action, reminding peers that a "text can wait, because no message is as important as a human life." 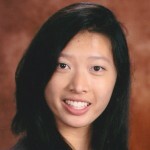 Zhou is a senior at North Allegheny High School and plans to attend Duke University in the fall. After serving as lead attorney for North Allegheny's mock trial program and achieving success in numerous speech and debate team tournaments, Zhou plans to put the scholarship toward pre-law studies. She is currently deciding between a major in economics or public policy. More than 300 entries were submitted and evaluated by a panel of judges who advocate teen safety in their communities: Corporal Christopher Murray of the PA State Police; Maddie Seel, a junior at Shaler Area High School; Deputy Sheriff Jason Tarap of the Allegheny County Sherrif's Office; and Chris Vitale, manager of the injury prevention program at Children's Hospital of Pittsburgh UPMC. Corporal Murray was especially impressed by the time and effort put into all of the projects. "It's encouraging that there are teens out there who recognize a problem and are doing something about it," he said. Six other winners were recognized for their submissions at the dinner ceremony. Three scholarships for $2,500 were awarded to Matthew Clark of Pine-Richland High School (Allegheny Co.), Lindsay Spinabelli of Peters Township High School (Washington Co.), and Jesse Vensel of McGuffey High School (Washington Co.). Three $1,000 scholarships went to Alexandria Denne of Gateway Senior High School (Allegheny Co.), Brady Sheehan of Windber Area High School (Somerset Co.), and Michael Trowbridge of Bellefonte Area High School (Centre Co.).